Benji Daniel & Alex Burger – World Champions in the 29er Class, and now the SAILING Mag Blog ‘Sailors of the Year’. It is never easy as a judge deciding who is the SAILING Mag Blog ‘Sailor of the Year’ as competition for the top spot is always tight. This year was no different, although two young sailors stood out head and shoulders above everyone else, and were a unanimous choice of the four anonymous judges in this competition. This competition has always been about one individual, not a team, but the judges felt that this year that rule should be broken as it was impossible to separate Alex and Benji – as after all they had both won the 29er World Championships going away. So Alex Burger and Benji Daniel are joint winners of this title for 2017, which comes with a cash prize thanks to our sponsors, being MDM Marine Services; North Sails & Southern Spars. At this juncture I would like to thank the four anonymous judges for their dedication to duty, and for taking their job so seriously. It’s never an easy task determining a winner and ensuring that the standards are kept high. What is evident is an apparent lack of interest from fellow sailors to submit nominations for the monthly ‘Sailor of the Month Award’. All it takes is a nomination and brief synopsis of what the person nominated has achieved. And of course a picture of that person. It’s really that simple. Below are interviews with Both Alex and Benji. When they were interviewed they were not aware that they were winners of this title. It has been a very exciting and rewarding year – with a World Championship title under your belt! So, going into the 29er Worlds – was a podium finish ever in your thinking? When we started the campaign we set ourselves a couple of goals for 29ers and categories that we would like to fall into. We said that Gold fleet is a really good start and we would have been disappointed if we did not make the Gold fleet. There were 129 boats – with the top 50 being the Gold fleet. We then modified that and said that a top 25 position would be quite good, a top 15 would be really good, a top 5 would be excellent and a podium would be amazing. Realistically going into the event I don’t think we expected to come away with a medal especially considering the amount of time we had training. We didn’t feel very confident, but we had hoped that it would work out well. After the pre-worlds we kinda got a taste that we could do it, and then we kinda clicked and realised that we could actually win the event. And that’s when the whole event and nature of our campaign changed as we were then out to win it. Cool, what key role did Benji play in your victory? Well, he was the other person on the boat so pretty crucial. We both brought different things to the campaign. I brought a more senior role and Benji brought a junior role, but there is no doubt about the fact that it is still a 100% team effort – a 50/50 balance between both people having to perform at the top of their game every single day, and both people have to do their jobs well. Benji as helmsman is crucial to making the boat go faster, to always maintain the speed of the boat and to make sure that his side of the boat and his trimming is always on top form. I can then work with that and then the two of us can make tactical decisions together. There are a lot of tactical decisions that he has to make alone that I can’t make, so it is a very dynamic relationship. Remember he brought exactly half our victory to the podium – there is no other way about it. So, are you looking towards an Olympic campaign in 2020? We can come back to that … . So you managed the RSA Youth team at the Youth worlds in China. Is managing and coaching something you want to do more of? Cool, so what are your long term sailing goals? Ultimately a medal at the Olympic Games is what we are striving towards as a squad (the RaceAhead Squad headed by Roger & Dave Hudson), as a country and as an individual as well. I think we have to keep that in mind that ultimately that is what we want to achieve over whether it be 12 years, 16 years, 20 years. I dunno – maybe even four years. Either way we have to keep in mind that ultimately what we are seeking is excellence in Olympic sailing, and the top of that is medalling! So with all that in mind, how do you plan to fit in your sailing and your studies next year? I have been exploring a lot of options with regards to studying and what I have come away with is that I am going to be doing a lot more part time studying. I have been doing three full years now and I am going to attempt to take a reduced course load and increase the amount of sailing I have been doing. The previous three years has been a lot of studying and sailing on the side in holidays and when it fits in, but I am going to try and tip the scales the other way slightly more and reduce the course load and increase the amount of sailing at regattas and training that I can do. 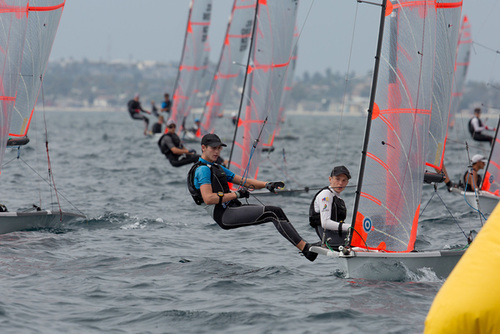 Has being coached by Roger Hudson changed the way you think sailing and how you train? OK! 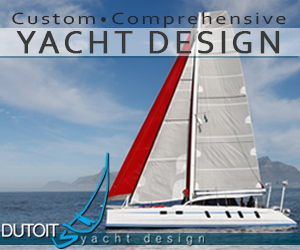 The new Cape 31 class – is that something that excites you what do you think of that in terms of big boat sailing (I know you do a lot of dinghies). 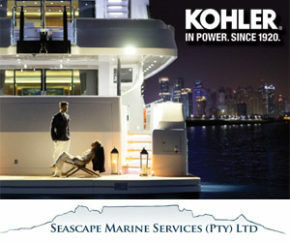 Also your thoughts on the Cape 31 in terms of the future of big boat sailing in Cape Town and South Africa? 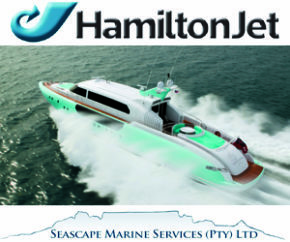 I think the Cape 31 is a really great thing for Cape Town and it really excites me because it is true one-design sailing on a good sized boat with an asymmetrical kite. By the looks of it a whole bunch of really great people are buying into it, which is fantastic and I think before we know it we are going to have 15 boats tight racing in Table Bay. It has so far provided just the most amazing sailing so I don’t think we are ever going to be able to go back to what we called sailing. I think everyone in Cape Town is going to realise that what we have been doing is nothing in comparison to this, and that excites me because we need the input from the older generation, we need skills, we need the money, we need their experience. But, we also need the input from the younger generation, the young, the fit the strong, the up-and-coming, because the boats are physical boats to sail. I think it is going to be a great amalgamation of those two generations – and I think the sport is just going to capitalise on all of that – the youthfulness and the experience, and before we know it we will have 15 – 20 great teams racing against each other. 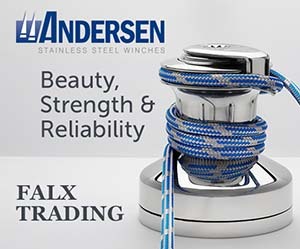 Do you have a sailing hero? Yes, yes, I have many sailing heroes! I have Dave Hudson firstly. I think he is one of the most amazing guys around and I think what he does for sailing is really truly great. And then all the past South African Olympians – Gareth Blackenberg, Dominique Provoyeur, Penny Allison, Kim Rew, Ian Ainslie, Dave Hudson, Stefano Marcia, and then Asenathi Jim and Roger Hudson as well – I think what they have done in the last seven years is really a blueprint for the future. As to how it should be done. It should be taken as a template for anybody who is trying to make it in Olympic sailing. They truly have done the hard yards and they have done the whole thing properly and they have reaped the results and suffered the losses. They played the game and they did the journey and I think all their stories are truly inspiring. I think Asenathi Jim’s story is truly inspiring and I think what he does is amazing. I think what Roger Hudson does is also truly amazing – and I aspire to be like both of them and to carry the baton into the future to continue and better what they have already done. So are you looking towards an Olympic campaign in 2020? Yes, yes we are. We are looking to qualify South Africa, we have not decided which classes as yet as there are two options right now – the 470 and the 49er. Both classes have their merits physically, technically and equipment wise. There are very different challenges at this stage, but one of the two are the most likely options and we will know very soon as to which avenue we will be going down. My ambition is to be at Tokyo 2020 in a double handed boat. And what would your position on the boat be – would you stick with the crew role? I think what I have learnt over the last few years is that the crew role really suits me. In the last few years and I have gained all my experience as a crew. I think I can be a much better crew than helmsman. Ok – so who would you partner likely be? In terms of partners we are looking within the squad and everybody has performed really well. There have been a lot of great performances this year and the partnerships have to be decided to see who may go forward and in which boats. I certainly plan to be part of one of those teams, but who it will be I am not entirely sure. We have the very experienced Asenathi Jim, and there is Benji Daniel coming through the ranks and then we have even younger helms in the likes of Ronaldo Arendse, so really there is a great pool to choose from and every single person has got their merits, but at this stage it looks promising that Asenathi Jim and I may team up. So with all that in mind what are your immediate sailing plans? In this new year (2018) we will base ourselves in Cape Town and whichever route we decide to go with the Olympics – 49er or 470 – we shall be getting the equipment and we shall be training hard in Cape Town. In early January we will select which regattas we will be doing on the international circuit, but a lot of it will be Cape Town focussed for at least the first nine months. There is a lot to do to set up our base, get back into the gym and to really just get into a space where we can actually start to learn how to compete again as we spend a lot of time off the circuit and away from important regattas. So we need to get up to a base level of skill in the boat and then we take it from there. Benji Daniel & Alex Burger. It has been a very exciting and rewarding year for you with the Youth World Championship as well as the 29er World Championship title under your belt. Going into the 29er Worlds was a podium finish ever in your thinking? And what role did Alex play in your 29er victory? I think he taught me pretty much everything. Without him I would not have been able to pull off such a thing. He was like a mentor, just guiding me through the process and teaching me how to do everything. So were you upset not having a shot at the 29er Youth Worlds or are you happy with the choice to go with the 420? 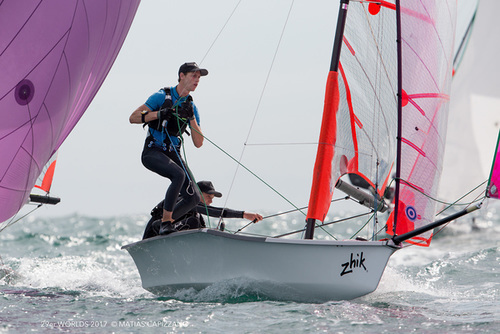 Ya, I am quite happy to sail the 420, the 29er I enjoy it a lot and I will always want to sail one but I wasn’t upset about not sailing a 29er in China at the Youth Worlds. It was a nice change to sail a 420 for a bit, almost like a clean slate and a fresh challenge. So for your 420 campaign you had a new crew. How did Rivaldo Arendse fit in and how did you guys work together? He did really well. I kept on having to remember he is only 14, yet he gave it all. It was just great to sail with him. I was hopeful that we could maybe go out there and get some good results, some top ten places, but I wasn’t too disappointed that it did not happen. I figured out after the regatta that we did 60 hours of training. I think to have done what we did with just 10 training sessions compared to the other teams who have been sailing the boat for years made me realise that I was quite happy with the results and how we sailed. So what are your sailing plans for the immediate future. I know you are going into matric? I don’t really know for sure right now. I think that there will be some 420 sailing, whether it is with Roger Hudson, Alex Burger or with Alex Ham I don’t know. We are looking at doing a youth worlds with Rivaldo again on a 420 depending on how things go, so it could be an interesting year for me. And what are your long term sailing goals? Keep on getting better – that’s definitely the main goal. I would love to do the circuit and spend a good few years doing that and doing as best I can. So I say would say the Olympics is the main goal I guess. So how do plan to fit in all this sailing and matric in this coming year? I don’t know yet, but I will make a plan. I think with good management I can work my sailing in and not have my studies suffer. So, has being coached by Roger Hudson changed the way you think sailing and how you train? Sailing with Roger Hudson and with Alex Burger changed the way that I viewed sailing, training and just being an athlete in general. Alex had a role in that and Roger too. I didn’t really know about these issues before I started sailing with Roger. So yes, he has had a huge impact on the way I sail and train and do everything. And do you have a sailing hero? Yeah. Obviously Roger and Asenathi are pretty inspiring. Peter Burling too as he is changing the game. So I would say those three are my sailing heroes. And now, if you could fix something in sailing what would it be – A in South Africa and B on a global platform? Hmmmm! Globally I would try and make international events more accessible and cheaper to get to so that more people can compete as that is the only way to improve your skill level. Within South Africa it’s important to get more youth sailing and to get them inspired to compete and bring as many of their mates sailing as possible. Good luck to you both for the future. We will be following your progress closely.